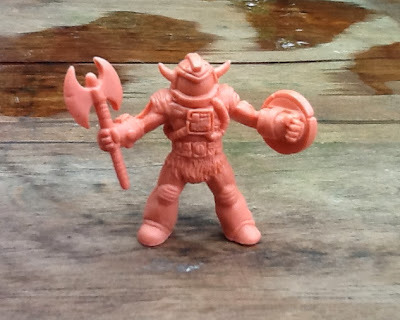 Ironhaus Productions OZ: PRESENT - OMFG Series 3 mini review! 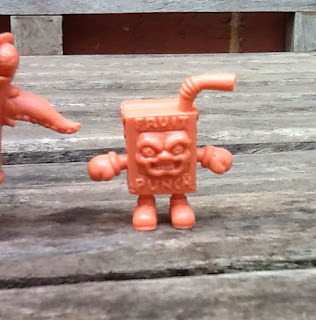 Ok, it's about time I started covering these guys since I've been collecting them from Series 1, and Series 3 is already here! If you don't know what OMFG is, well.. it's time to come out from under that rock and get informed on the matter. OMFG, which stands for Outlandish Mini Figure Guys, is a tribute to the classic toy lines of the 80's like Monster In My Pocket, M.U.S.C.L.E, or Bad eggz Bunch and are about 2" tall and made from a firm PVC (slightly improved this time around). 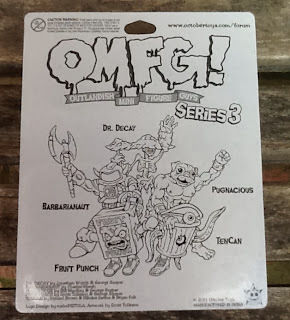 OMFG is created in a collaboration by community members of the OctoberToys Forum who all pitch in designs around once a year and they get voted on to determine the top 5 figures who scored the most votes. The great thing is, you don't have to be able to sculpt yourself and you can simply enter a 2D image of the figure you'd like to win, and if it's popular enough to win then George Gaspar of OctoberToys has kindly offered to sculpt the figure himself! 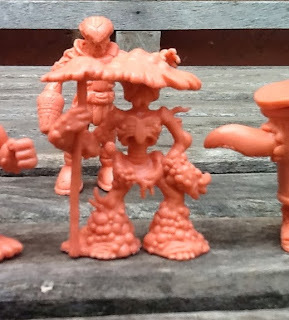 Once all 5 figures have been sculpted, they're sent off to the Onell Design factory in China where toy magic happens and we get our figures a few short months later! Each series is campaigned on the Kickstarter website where people can pledge a desired amount to back the project and receive the figures they want, the price for a 5 pack is $10 USD. The standard colour is a flesh however there are retailer exlusive colours abound, more on that in a future post very soon! The Kickstarter campaign offers some incentives too, like the kickstarter exclusive Black colour (which is only available to backers via Kickstarter) or perhaps you'd like to order an OMFG T-shirt? Well, you can do that too. 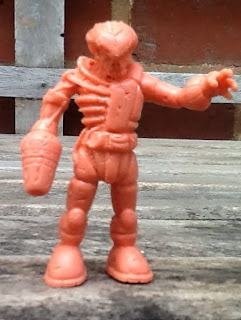 There's also been some other goodies thrown in for good measure, such as a freebie flesh or black (depending which sets you pledged for) Zombie Pheyden figure that was available for people who backed over $25 on the S3 KS campaign, which was recurring too so the more sets you pledged the more free figures you got! Series 1 started mid 2001, S2 was mid 2012 and S3 the same for 2013. 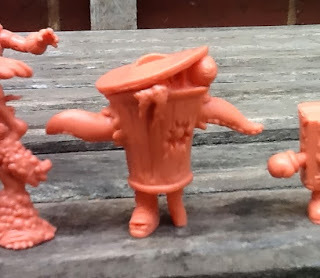 Series 4 has already been voted on, the sculpts are currently being finalised and the Kickstarter Campaign should commence early next year by the looks of things. Series 5 designs are being accepted NOW and can be found on the OctoberToys Forum so if you want to design a toy and see it made, then I suggest you head over there and submit a design! Anyways, onto the S3 figures themselves! I'll be honest, at first this figure didn't really appeal that much to me but he has grown on me heaps since having him in hand and seeing him in different colours. 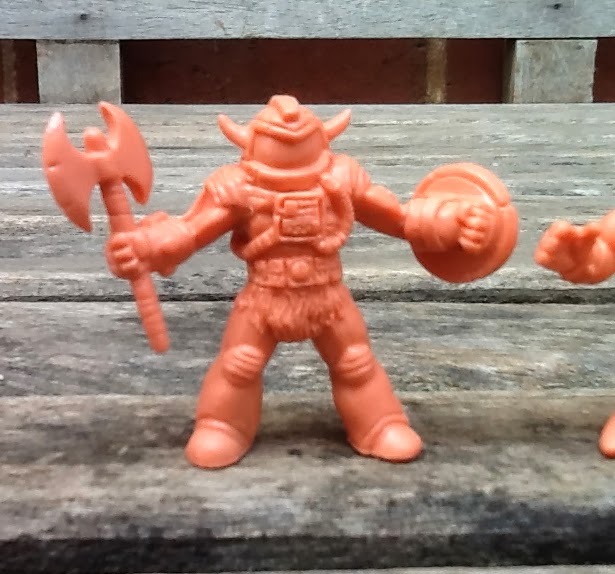 He's clearly a homage to MOTU, and he happens to be the first OMFG figure who is armed with a weapon and a shield to boot. I really dig the amount of detail on him, and I like that he adds a bit of Sci-Fi to OMFG, and can picture him battling aliens on distant planets (kind of like Prometheus X Conan) It also gives me a bit of a Metroid feel, which is very cool. I rate this figure a solid 8.5/10. PUGNACIOUS - Desinged by Bill Mackay (ZombieThor) & sculpted by George Gaspar. Another figure that I was initially quite disappointed in, but again I've warmed to him over time (even though he still ranks at the bottom of this series for me personally). 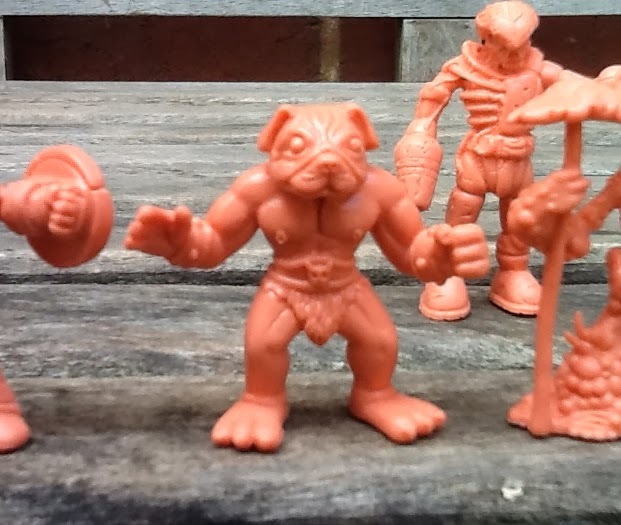 Much like Barbarianaut, Pugnacoius (who was originally named Puggernaut) is a shout-out to the MOTU series, and blends the head of a Pug dog with that of a MOTU warrior. Meh. I know there are a LOT of Pug fans out there, but I'm more into larger breeds. If it had a wolf head, than I would be all over this figure. Still, it ahs nice elements and has been sculpted nicely! I rate this figure a wavering 6/10. Dr. Decay - Designed by Jonathan Wojcik (Bogleech) & sculpted by george Gaspar. Next, we have my favourite OMFG, not only for S3 but of all time. there's something about this figure that really does it for me, it might be that its cute and creepy and got the balance just right. Or it could be that he's a Mushroom, which Im rather partial too (they make great characters apparently). The skeleton blending with the fungus looks really great, and the details under his feet or under his hat really killed it and made this figure easily my favourite so far. I rate it at a staggering 9.5/10! Ten-Can is a another creepy/cute character, and although its not entirely an original idea (is anything, anymore?) he turned out really nicely. The design itself was rather simple but it actually works at this scale and Bryan was able to sculpt some nice details into him like his boot (wow!) 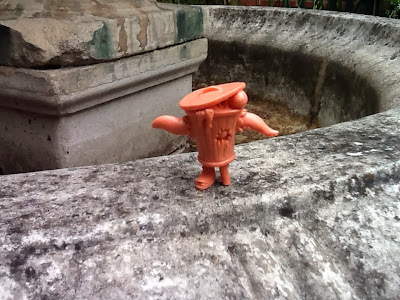 and even the botchy metal plates that secure the makeshift peg-leg into place underneath the trash can. He has two tentacles that have burst thru the can and protruding from either side, two misshaped eyes & some funky stuff spilling out. I rank this guy at an average 7.5/10. I give this guy a well-deserved 8.5/10. ZOMBIE PHEYDEN - Designed by Matt Doughty (Onell Design) & George Gaspar, sculpted by George Gaspar. Officially Zombie Pheyden is an OTMFG not OMFG, however his release coincided with that of S3, and exclusive Kickstarter black Zombie Pheydens were offered as freebie rewards for backers. He's also made of the exact same materials so it seemed fitting to include him in my review. Im not that into Glyos myself (though I can see why everyone loves them) but this is the Pheyden character form the Onell Glyos Universe, however here he's been infected with a zombie virus! I've learned to eat my words with these figures, as at first I wasn't that interested in this guy. At first. I rate this guy at a comfortable 8/10. So there you have it, thats my take on Series 3 OMFG. All Flesh sets, S1-3 are available via the OctoberToys shop for $10 USD a pop, however at the time of writing this S1 is apparently out of stock. I will be posting regarding the availability of Series 3 retailer exclusives shortly, so make sure to check back for more S3 OMFG info soon. Ten-Can out on a leisurely stroll..
Barbarianaut surveys a foreign land.